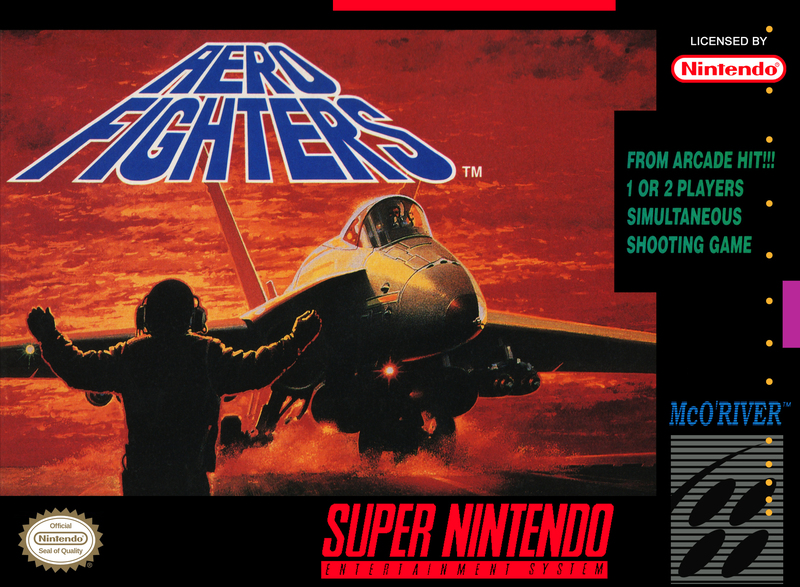 Краткое описание: Aero Fighters (known as Sonic Wings in Japan) is a vertical-scrolling shoot 'em up ("shmup") arcade game released in 1992 by Video System, ported to the Super Famicom in 1993 and the Super Nintendo in 1994. There are 8 stages in this game. The beginning stages consists of randomly chosen areas from nations of unselected fighters (assuming those fighters have nations). If Rabio or Lepus is chosen, all 4 rival nation stages become playable. After completing all rival nation stages, there are 4 more stages. 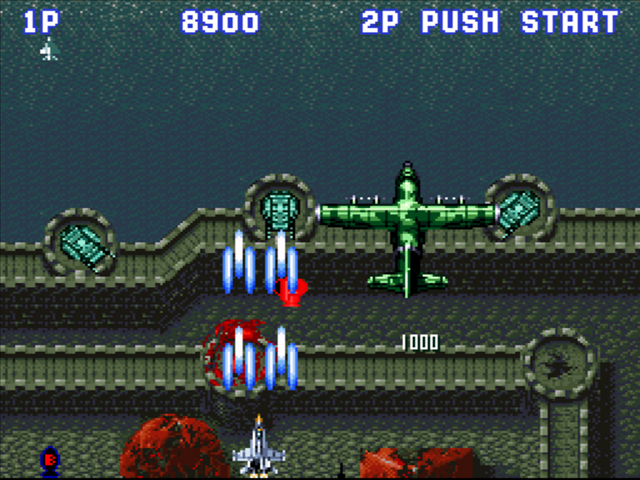 Aero Fighters (known as Sonic Wings in Japan) is a vertical-scrolling shoot 'em up ("shmup") arcade game released in 1992 by Video System, ported to the Super Famicom in 1993 and the Super Nintendo in 1994. 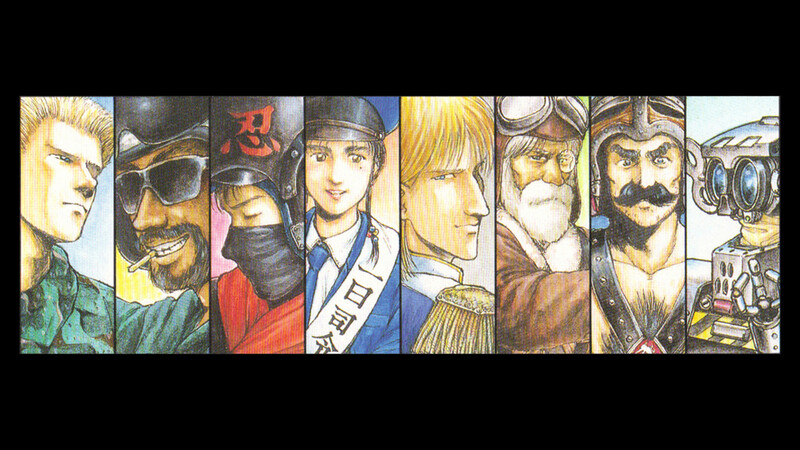 There are 8 stages in this game. 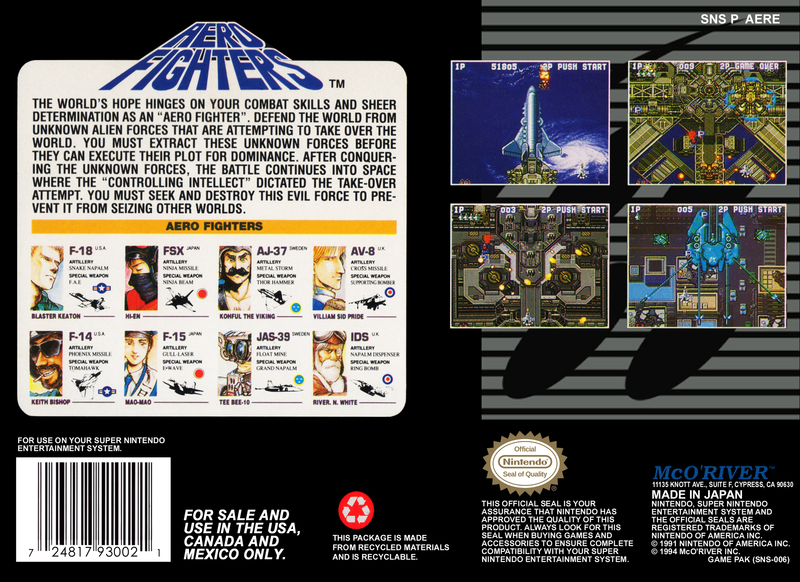 The beginning stages consists of randomly chosen areas from nations of unselected fighters (assuming those fighters have nations). If Rabio or Lepus is chosen, all 4 rival nation stages become playable. After completing all rival nation stages, there are 4 more stages. Разработчик: Video System Co., Ltd.